Missouri is home to plastics manufacturers and establishments engaged in plastics processing, marketing, support and captive activities that directly employ 18,150 people. Nationally, Missouri is ranked 20th in plastics industry employment. It is also home to a number of plastics dependent industries that use plastics to make products or provide services. 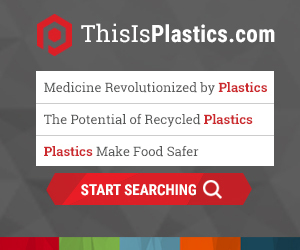 Plastics and dependent industries combined employ 859 thousand people in Missouri. Total Plastics Industry and Dependent Industries: 859,540 employees. The plastics industry’s direct payroll in Missouri, including captive plastic products, is $914 million. Plastics dependent industries add another $36.6 billion to the state’s payroll. Together, plastics companies and the industries that depend on plastics contribute $11.8 billion in state and federal personal income taxes, and $6.1 billion in payroll (FICA) taxes. Plastics industry shipments in Missouri totaled nearly $8.2 billion in 2017 and comprised 1.9% of national shipments ($432.3 billion). Nationally, Missouri is ranked 19th in plastics industry shipments.